in a fun way they learn them quickly and easily! 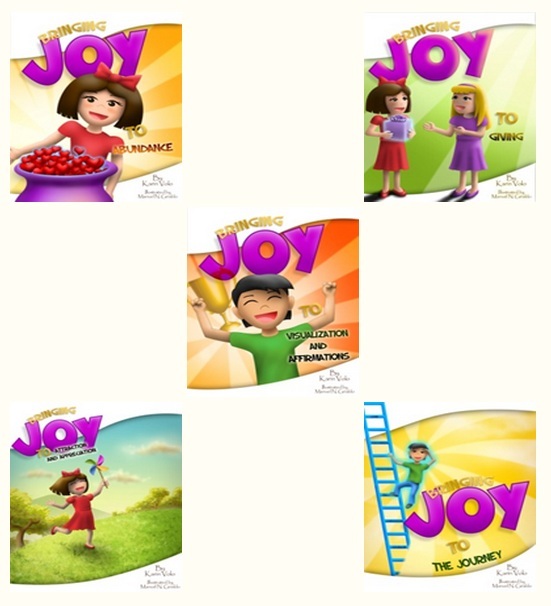 Why should you join the Bringing Joy Club? Who doesn’t want to feel good and happy in their lives right now? Being a part of this leading edge community, where you get tremendous value and connections, will help you and your family grow. But you will also be a part of something bigger…making the world a better place by spreading more Joy. It is fun, you have multi-generations learning self-development, and you are connecting to a great group of positive, like minded, spiritually aware families. Yes! I want to join the Bringing Joy Book Club today so I can start having more joy in my life! Membership in the Bringing Joy community where you can share insights, ideas and network with like-minded people. Register today and also recieve 5 Keys to Joyful Living bonus gift!